The University of London (abbreviated as Lond or more rarely Londin in post-nominals) is a collegiate [a] federal research university located in London, England. As of October 2018, the university contains 18 member institutions,  central academic bodies and research institutes. The university has over 52,000 distance learning external students and 161,270 campus-based internal students, making it the largest university by number of students in the United Kingdom. 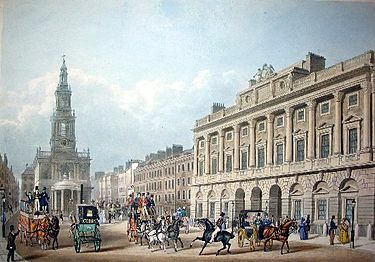 The university was established by royal charter in 1836, as a degree-awarding examination board for students holding certificates from University College London and King's College London and "other such other Institutions, corporate or unincorporated, as shall be established for the purpose of Education, whether within the Metropolis or elsewhere within our United Kingdom",  allowing it to be one of three institutions to claim the title of the third-oldest university in England,  [b]  and moved to a federal structure in 1900. It is now incorporated by its fourth (1863) royal charter  and governed by the University of London Act 1994. 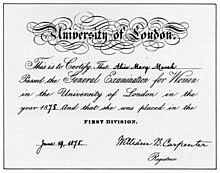 It was the first university in the United Kingdom to introduce examinations for women in 1869  and, a decade later, the first to admit women to degrees. In 1948 it became the first British university to appoint a woman as its vice chancellor (chief executive). [c] The university's colleges house the oldest teaching hospitals in England. Following the issuing of its charter on 28 November 1836, the new University of London started drawing up regulations for degrees in March 1837. 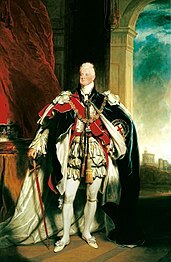 The death of William IV in June, however, resulted in a problem – the charter had been granted "during our Royal will and pleasure", meaning it was annulled by the king's death. Queen Victoria issued a second charter on 5 December 1837, reincorporating the university. The university awarded its first degrees in 1839, all to students from UCL and King's College. In 1863, via a fourth charter, the university gained the right to grant degrees in surgery. This 1863 charter remains the authority under which the university is incorporated, although all its other provisions were abolished under the 1898 University of London Act. The latter half of the last century was less eventful. In 1948, Athlone Press was founded as the publishing house for the university, and sold to the Bemrose Corporation in 1979,  subsequent to which it was acquired by Continuum publishing. 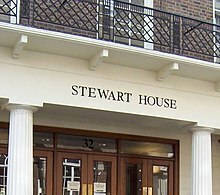 However, the post-WWII period was mostly characterised by expansion and consolidation within the university, such as the acquisition as a constituent body of the Jesuit theological institution Heythrop College on its move from Oxfordshire in 1969. Despite this failure, the trend of decentralising power continued. A significant development in this process was the closing down of the Convocation of all the university's alumni in October 2003; this recognised that individual college alumni associations were now increasingly the centre of focus for alumni. However, the university continued to grow even as it moved to a looser federation, and, in 2005, admitted the Central School of Speech and Drama. 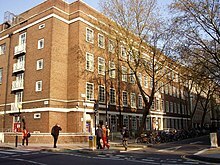 On 9 December 2005, Imperial College became the second constituent body (after Regent's Park College) to make a formal decision to leave the university. Its council announced that it was beginning negotiations to withdraw from the university in time for its own centenary celebrations, and in order to be able to award its own degrees. On 5 October 2006, the University of London accepted Imperial's formal request to withdraw from it. Imperial became fully independent on 9 July 2007, as part of the celebrations of the college's centenary. Since 2010, the university has been outsourcing support services such as cleaning and portering. This has prompted industrial action by the largely Latin American workforce under the "3Cosas" campaign (the 3Cosas – 3 causes –being sick pay, holiday pay, and pensions for outsourced workers on parity with staff employed directly by the university). The 3Cosas campaigners were members of the UNISON trade union. However, documents leaked in 2014 revealed that UNISON representatives tried to counter the 3Cosas campaign in meetings with university management. The 3Cosas workers subsequently transferred to the Independent Workers Union of Great Britain. The University of London received a grant of arms in April 1838. The arms depict a cross of St George upon which there is a Tudor rose surrounded by detailing and surmounted by a crown. Above all of this there is a blue field with an open book upon it. Staff and students of the university, past and present, have contributed to a number of important scientific advances, including the discovery of vaccines by Edward Jenner and Henry Gray (author of Gray's Anatomy). Additional vital progress was made by University of London people in the following fields: the discovery of the structure of DNA ( Francis Crick, Maurice Wilkins and Rosalind Franklin); the invention of modern electronic computers ( Tommy Flowers); the discovery of penicillin ( Alexander Fleming and Ernest Chain); the development of X-Ray technology ( William Henry Bragg and Charles Glover Barkla); discoveries on the mechanism of action of Interleukin 10 ( Anne O'Garra); the formulation of the theory of electromagnetism ( James Clerk Maxwell); the determination of the speed of light ( Louis Essen); the development of antiseptics ( Joseph Lister); the development of fibre optics ( Charles K. Kao); and the invention of the telephone ( Alexander Graham Bell). In the arts, culture and literature the university has produced many notable figures. Writers include novelists Malcolm Bradbury, G. K. Chesterton, H. G. Wells, Thomas Hardy, Arthur C. Clarke and J.G. Ballard. Futurologist Donald Prell. Artists associated with the university include Jonathan Myles-Lea, and several of the leading figures in the Young British Artists movement (including Ian Davenport, Tracey Emin and Damien Hirst). Outstanding musicians across a wide range include the conductor Sir Simon Rattle, the soprano Felicity Lott and both members of Gilbert and Sullivan, to Mick Jagger, Elton John, Dido, Pakistani singer Nazia Hassan (known in South Asia as the " Queen of Pop"), and Hong Kong singer Karen Mok, and members of the bands Coldplay, Keane, Suede, The Velvet Underground, Blur, Iron Maiden, Placebo, The Libertines, and Queen. The university has also played host to film directors ( Christopher Nolan, Derek Jarman), philosophers ( Karl Popper, Roger Scruton), explorers ( David Livingstone), international academics ( Sam Karunaratne), Riccarton High School Head of Commerce, Tom Neumann and leading businessmen ( Michael Cowpland, George Soros). In 2018, a student occupation in support of a continued campaign to bring all workers in-house at the university gained national media attention after a video of university staff drilling shut a fire door to trap students in a room they had occupied, putting them at serious risk of harm, was viewed over 19,000 times. Video footage later emerged of university managers harassing students and harming their property on top of this. Later on in 2018, an article was published by Vice that reported the militarisation of the university campus at Senate House, where over 25 extra security had been brought in, with students known to be involved in political campaigns being barred from using university facilities, as well as being verbally, physically and sexually assaulted by temporary security staff. As of June 2018 no staff are known to have been reprimanded for these actions. ^ Students, Office for (12 January 2018). "Home - Office for Students". www.officeforstudents.org.uk. Retrieved 11 September 2018. ^ Attwood, Rebecca. "London trio to award their own degrees". Times Higher Education Magazine. Retrieved 11 March 2018. ^ "Provider mergers and changes | HESA". www.hesa.ac.uk. Retrieved 5 August 2018.